-- Ben Mattlin lives a normal, independent life. Why is that interesting? Because Mattlin was born with spinal muscular atrophy, a congenital weakness from which he was expected to die in childhood. Not only did Mattlin live through childhood, he became one of the first students in a wheelchair to attend Harvard, from which he graduated and became a professional writer. His advantage? Mattlin’s life happened to parallel the growth of the disability rights movement, so that in many ways he did not feel that he was disadvantaged at all, merely different. 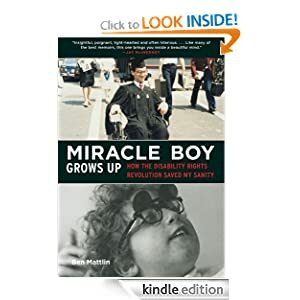 Miracle Boy Grows Up or to sample this book for FREE! It's time for Big Bear to hibernate, so Old Man Winter keeps telling him: "Sleep, Big Bear, sleep." But Big Bear doesn't hear very well. He thinks Old Man Winter has told him to drive a jeep, to sweep, and to leap. Big Bear just can't seem to hear what Old Man Winter is saying. Finally, Old Man Winter finds a noisy way to get Big Bear's attention. 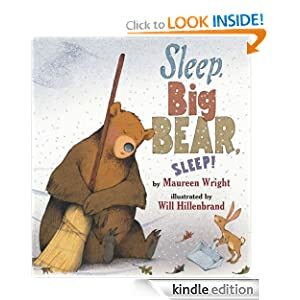 Cozy illustrations rendered in pencil and mixed media by Will Hillenbrand bring this bedtime story to a fitting conclusion. Sleep, Big Bear, Sleep! or to sample this book for FREE! -- In a world where the slightest edge can mean the difference between success and failure, Leisha Camden is beautiful, extraordinarily intelligent ... and one of an ever-growing number of human beings who have been genetically modified to never require sleep. 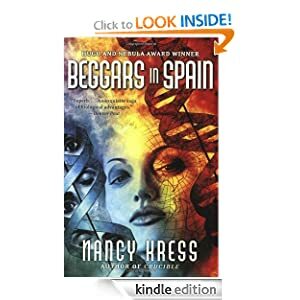 Beggars in Spain or to sample this book for FREE! Many resort to another supermarket rotisserie chicken or—worse yet—ordering dinner through a drive-thru intercom. 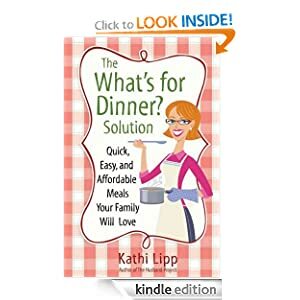 In The “What’s for Dinner” Solution, popular author and speaker Kathi Lipp provides a full-kitchen approach for getting dinner on the table every night. The "What's for Dinner?" Solution or to sample this book for FREE!